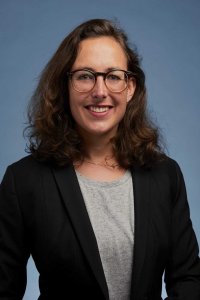 As per the end of February 2018, Annemarie van den Heuvel is the Project Coordinator of Pro Bono Connect (first on an interim basis). She establishes and maintains contacts with civil society organisations, law firms and others involved and is responsible for the operation of the project. Before working at Pro Bono Connect, Annemarie worked for almost 9 years as a candidate civil law notary at Loyens & Loeff, one of the Founding Members of Pro Bono Connect. As such, she regularly worked with cultural and other organisations, also on a pro bono basis.